This is my baby. She doesn’t know it, but she’s breaking my heart every day because she’s growing up way too fast. She’s number 4, she’s the last (she BETTER be the last!) and she’s 18 months today… so really, won’t technically be a baby for long. And she’ll always be the baby of the family but I feel a little gyped, I’ll explain. When I had Erik back in 2003, every little thing he did was a miracle. It was so incredible watching this little person grow, and 100% of my time was spent on him. That first year seem to take forever. I have so many memories, took so many pictures, have so many journal entries, it was wonderful. Then when he was 1, I got pregnant with William and I remember being so happy because I would be getting a new baby because Erik seemed grown up already and I do love the babies. William arrived in 2005 and again, that was a wonderful time. I was happy to be home and done work for good (I went back part-time for 9 months when Erik was 1) and I was so happy with my little family of two boys. 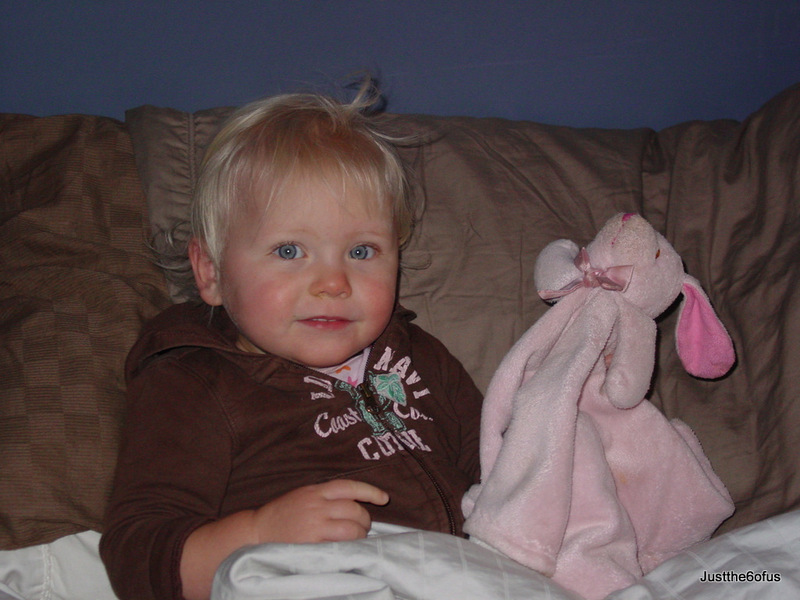 So then after getting pregnant again when William was 1, Sarah arrived in 2007. I was in the thick of baby life and loving it. I had a sweet little girl and we were in the winter, no one was in school so we didn’t have to go anywhere and could just hang out all day. Those days were wonderful! I could enjoy my baby and my boys, and obviously I was incredibly busy and probably exhausted and didn’t have enough of me to go around and the house was probably always a mess, but I was loving it. When Sarah was 20 months, we got pregnant again with Sophy. By this time Erik was in school every afternoon so after lunch I was packing up 3 kids and bringing him to school and picking him up again after. Thankfully in 2008 when he as in SK my wonderful friend Jen would pick him up for school so that just left getting him at the end of the day… but I was big and pregnant by the spring 2009 and it was a challenge. And I knew that come September, we’d be having to ALL be getting out of the house by 9:00 – daunting thought. So then sweet Sophia was born in May 2009 – thankfully with just a month left of school and the summer break. She was such a sweet baby and I’m so thankful we had that summer and it was a good one…. but then fall came. And it was tough. I was so darn busy trying to get a 6 year old, 4 year old, 2 year old and infant into the van every morning for 9, and then bringing William back t school for 12:45. Again, Jen came to my rescue and brought the boys home for me, but my days were broken up and the time I was at home I was just trying to keep things together. March was awful, my parents were away for the entire month and I really missed my mom and I think I thought I was going to lose my mind! And what about Sophy you say? Well that’s my point! I was so darn busy after she was born I feel like I missed everything!!!! The year was a blur and I was so busy with the other kids and life and going back and forth to school and cooking and cleaning that now she’s 18 months and I have NO idea where the time has gone. Where did that baby go that I had that May… did I misplace her and I’ll find her under some unfolded laundry? And who is this sweet little toddler saying ‘no’ and climbing ladders and wanting to be her own independent person? I guess this is what happens the more kids you have. … you are busier so you the time goes quicker and before you know it the babies aren’t babies anymore. But I would never regret having her and when I mentioned to someone how busy I was once, their response was “Well, you choose to have four kids” and that’s the truth! Even though it’s gone by fast and I miss having a baby around, I do have my sweet Sophy. And watching her as a toddler is just as fun as watching her as a baby, probably more. And it really doesn’t matter how old she gets really, because she always will be MY baby. Thanks for sharing, Lisa. Definitely gives me something to think about while we consider having more kids! I definitely feel like time is going faster now that we have two little ones. ERin seems so grown up now, but at least I am home with her everyday now to see her progress. Janine! It’s so nice to hear from you. How is that baby doing? Can you send me some pics? It’s too bad I’m not on Facebook to keep current, but I’d love to hear how you’re doing! It is so true! The youngest child grows up too fast. Like you said, those years with a larger family are so busy, you don’t have much “alone” time with the new baby. In 2009 we had four babies in the family at large, and now even the youngest is a toddler and learning to run. I was lamenting about this to dad the other day. Lord willing we will have a new baby in the family come May, but that baby will grow up too! Still, it is such a priviledge to be a parent and I know that you think that way too! I still feel that way, even about my adult children.